I wanted to let you know that this will be my last post on this sight. I have spent quite a bit of time over the last few months contemplating a change. I’ve been feeling like it’s time for something new. If you still wish to follow my writings, I will be found at boldlyamy.blogspot.com from here on out. Thanks to all of you who have made this place feel like home, and I can only hope that you’ll join me over at my new home. Rest. That is of what today consisted. It was a glorious day. After an extremely busy week a choice was made. Mainly for the sake of our introverted toddler. I could see the weariness from the go-go-go we’d had all week. If something didn’t break the cycle, we’d soon have a melt down on our hands. Being aware of this, I made the choice. We had to cancel the original plans for today. After church, we came home so he could rest. His entire being could rest. Little did I know just how good today was going to be for me. Sure I knew I was wearing down to, but I can handle myself better. That’s just what I was going to do. That which I always do, grit down, bear it and continue pressing on. Mid way through the afternoon I noticed something. Something I wouldn’t have seen had we been on the go. Cuddled up with my husband, our handsome boy curled up by my feet, I felt complete. For the first time in a long time, there was peace. No real longing for any specific thing. Not looking ahead to this next step or that one there. Just a sense of my soul saying it is well. Not that we’re at the end of our journey, not by a long shot, I hope. Just that for now, we are well. No matter what is or isn’t happening in our life, we are living, breathing and growing. A reminder that together we draw strength to face whatever life throws at us. Despite the uncertainty. The hopes and dreams have. Whether or not those happen. So long as we, together, cling to God, the one who so closely knit our hearts, we will not only survive, but we will thrive. I haven’t written much this year. I started the year with a challenge of treating everyday with the attitude of adventure. It’s been a doozy of a year so far. From having dejavu hit like a ton of bricks with every step we’ve taken. To laying down dreams that seemed to be engraved on the heart. Instead picking up the lens of blessings. Everyday, amazed at the little things that were missed. Missed spent longing for something to which we weren’t entitled. Living this life, reclaiming issues. Not for them to define, or even to direct the path. 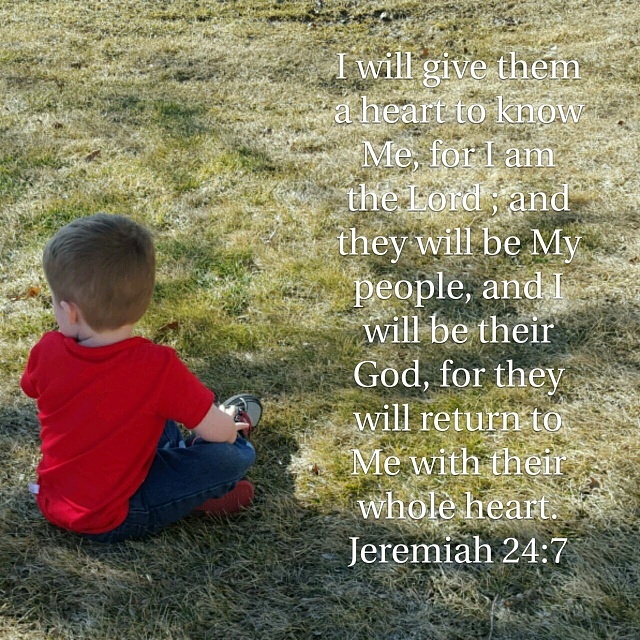 Claiming them in order to surrender them to the One who can bring ultimate healing from them. Both physically and emotionally. However, rarely will those come before spiritual healing. Which is usually where we really need it. Lately a song with this title has been playing on the radio. It quickly became one of my absolute favorites. The anthem I want to be true in every relationship I have. Francesca Battestelli does such an amazing job conquering this subject. The message, so raw. The concept, so simple. The action, not so easy. The reality, so scary. Finding people who are honest is hard to do anymore. In fact, those who pride themselves on it, typically go about it in an off putting manor.One that looks very much like the world in which we are called to live in, but look nothing like. Repeatedly, the claims of being real and honest come. When we sit and chat, we find out that yes, they are those things, but the truth, realness and honesty is rarely done from a place of love, grace and wisdom. Striving to live a life completely real is brave. However, living a real life requires more than just saying everything and anything on one’s mind to anyone and every one around. Quite frankly, there are people who are not in the place (mentally, spiritual, emotionally) to be able to handle it at that time. The best way to live an honest, real and open life is to do so from a mindset of constant prayer. By asking God for the wisdom to speak what needs to be said, as well as when and how to say it, we set ourselves up for a much better reception from the person we’re talking to. Only the Holy Spirit can confirm when another spirit is primed for this type of communication. I have both made the mistake of speaking just to be heard, right, or just to simply have the last word as well as waited for the right words, at the right time, from the right place (of mind and heart). I can tell you, the latter is always more satisfactory. Not just for the one speaking, but for the one who is on receiving end. For me, this tells me that one sign of maturity is speaking the truth. More than that, though, it’s doing so as Christ did. Not to be right, not to prove a point, but with all the love and concern for the other person’s growth as primary goal. As I mentioned before, I have done both ways. Speaking just to speak, but also waiting for the Spirit to lead me to speak. Case and point with my accountability partner, there have been times when my words made her mad because I was just speaking without thinking. On the other side, there are times that she says she’s mad, but it’s because the words resonated with her spirit and often times confirmed what her spirit had been telling her. Typically the latter falls on a perceptive heart and she comes back grateful. Friends, I challenge you. In all of your relationships, pray first (for as long as you need to) before speaking. One of the most effective methods I have found is praying that if it is indeed something that needs said, that God himself give you the words. On the flip side, if it’s something that doesn’t need said and will only add insult to injury that God put his hand over my big mouth. For often it’s better to say nothing at all and just let the topic rest until the Spirit prompts. When one woman finds a group of like-minded ladies, it’d amazing what can happen. To have a group that I can go to with my deepest struggles, new and old is invaluable. Just knowing what I share will be prayed over helps the insurmountable become more of a possibility. As I drive I begin to focus on each line of this chorus as it’s sung. Then, I hear another voice. A gentler voice. With a simple question. That one stung. A lot. But it’s true. I say I believe that He has the power to overcome anything put in my path, but how often have I actually claimed this power as rightfully mine. Because the craziest part of this walk is this fact: by His grace, His power lives on IN and through me. So here I am, sitting at the bottom of a mountain that the conquering had already begun a couple years back. Finding myself back in the same old fight to get healthy. To feel better. To make better choices about what gets put in my body. This time, it won’t be in my power. It will be in God’s power working in me. Last week, Kelsey and I felt it was time to change things up. We went to look at One Year Bibles and ended up finding a devotional that we thought would challenge us enough to get us to dive deeper into our walks. 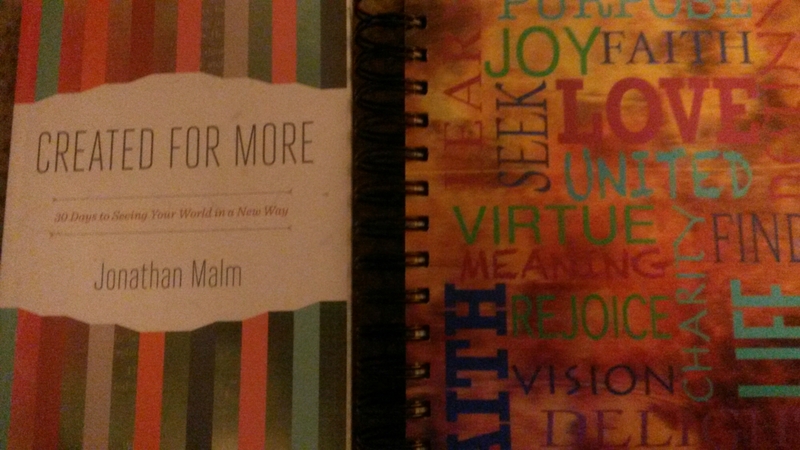 This devotional is called Created For More by Jonathan Malm. While it’s written to be a 30 day challenge, after reading day 1, we realized we’d need more time to delve into the topic. I will write insights and answers to the challenges in my journal. The first title is be humble. The challenge: do your thing (writing for me) purposely horrible. Then, share it. So I just started writing, no editing. If I’m going to do this, all in, without holding back, here it goes. 2015 was going to be my year. Everything was finally going to fall into it’s proper place. At least that’s how I went into the year. My mindset defeated me before I could even take a step in any direction. Physically it was time to get it under control. I was tired of the same old song and dance. It was going to be my year to eat better, exercise more, to get it together. Lose the extra weight, become all around healthier. That didn’t happen, not in the least. The best of intentions I had were quickly squelched when pain began to settle in. Not just pain but exhaustion too. It seemed every time I turned around, another symptom piled on. Late in the year a break through happened. However the vit. D only helped one of the major issues. The pain returned quicker than I ever dreamed. Leaving my goal to get it together laying by the side of the road, dead. Physically wasn’t the only area I was going to get it right. Spiritually, I was going to pick the time to have Bible study and stick to it. I was going to become consistent, find new ways to grow and set on fire. Consistency, didn’t happen, super-on-fire-me, didn’t happen. Depth came, but not how I expected. Depth came in to the tune of trust. A trust that there is a purpose for the pain, physical and emotional, that I was walking through. Trust that all this is going to be used…eventually. Spiritually I had to cling to Him and the Family He gave me when my “nuclear” family fell apart. When several parts of my life seemed to be floundering, He wouldn’t let me fall. Emotionally this year took a toll. From conflicts between people I love tearing apart the family we’d all fought so hard to rebuild over the last several years, to hormones playing with my emotions, whenever and however they pleased. I felt like a terrible mess. If I wasn’t distracting myself (in many ways) I was on the verge of tears. If I wasn’t near crying, I was numb. I got really good at faking feeling okay. I could convince everyone and anyone, including myself. Until I couldn’t. Then the flood gates erupted and it was near impossible to seal them up again. Mentally was probably the best for me this year. Even though the physical and emotional were tied so tightly to this, I was able to stand up for myself. Have my own voice, my own opinion, and share it. Sure, after I did so, I may have doubted and second guessed myself (a million times on some) but I never backed down. I didn’t choose to go along with others thoughts, opinions along my actions just because it would have been easier. I would validate their stance, but stood firm in my own as well. Last year wasn’t along all bad though. 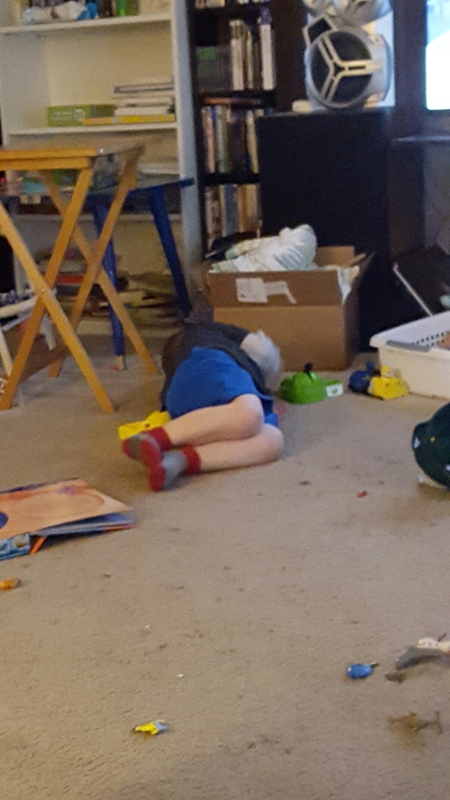 Despite everything, my sister’s and I are closer than ever, I have the sweetest little nephew, who has a great personality and some of the best friends a gal could ask for. While 2015 held a lot of pain and heartache, it held a lot of lessons, a lot of laughs, smiles, and joy. It just seemed the pain, tears and all around suckiness is what stands out more. On the upside 2016 looks to be brighter, happier, and less chaotic, I can hope. This year isn’t so much about making XYZ goals to get better, but about becoming a better follower of God. Choosing His plan over my own. Learning again who I am because of Who’s I am. While the desire to get healthy, lose the weight and become more put together again are there, they’re not the primary goal. I’ve started and restarted this post several times. As much as I want to recap 2015, I’m just not too sure that now is the time. Each time I try to write on it, I get writers block. Which tells me more processing needs done before I can write about it. So I’m going to start with where I am at today. As I sit here on the second day of the new year I see several things. Some committing to the idea of a new start, a fresh beginning, a blank page. Others are struggling in various ways. Few resolving to do nothing different. I’m not really looking at this as a new start. No, each day I’m blessed to wake up is technically that. This year I’m looking at it a new way. Normally I set out a word, list of goals ect that I hope the next year will fit into. Any time I thought along those lines I was given a different message. This is a year of advent. A year to prepare. A time to seek. A season to wait on God and see what he has in store for me. This year I don’t plan to try to make it into something extravagant. I will strive to live it from the mindset of advent. That each circumstance is ultimately leading us to the plan that only He knows. -leaning fully into God rather than my own understanding. What are your aspirations for this year? I woke up this morning to a memory. Not a dream. A memory from my early high school years. One that was supressed for quite a while now. Growing up, I’d heard about these over nights a group of girls would take. There were stories of laughter, sisterhood, and bonding. I was excited to get to the age to be involved in these trips. Then I was put in a different group. This group wasnt exactly known as the fun group. One where on a good night, there would be one other girl with me. There was one year when a glimmer of hope came. Both groups were invited on the outing. The little girl in me was so excited. Then those hopes were dashed when the invitation was rescinded to all but one. We weren’t supposed to know. As things always do, the truth became apparent. 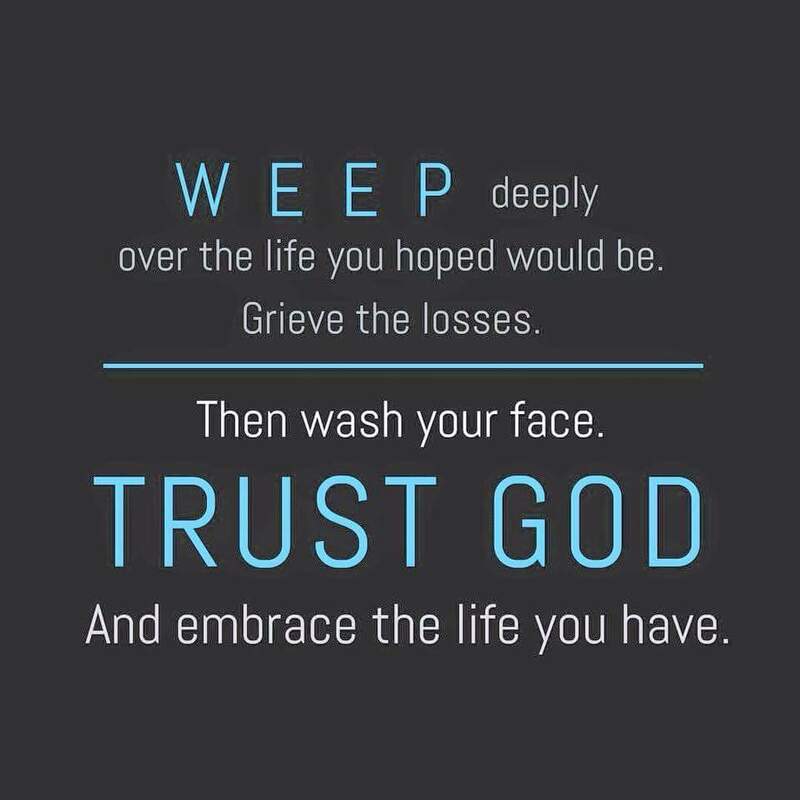 I remember the emotions well: rejection, sadness, hurt, betrayal. This was another instance that seemed to verify what the world had been echoing to my heart my entire life. You’re not good enough. You’re not, nor will you be a part of the cool group. You are different. You don’t matter to others as much as they matter to you. The list could go on for miles. Looking back on all that today, I realize that I received something from the group I was in that is invaluable to me today. I received love, stability, grace, understanding, a safe place. In the form of my group leader. All at a time when I couldn’t find it anywhere else. Not only all that but I was taught how to feed myself. I remember going through Genesis chapter by chapter (I think it took the better part of two years to go through it completely). We’d have great discussion on the events that took place within that portion of scripture. We’d challenge each other. We’d pray with and for each other. We’d laugh together, we’d cry together, we did life together. She was my first mentor. Since then I’ve had a couple mentors and in that time I have faced many of the lies the world threw at me back then. I’ve learned to challenge them with scripture. I’ve continued to find ways to challenge myself spiritually. I’ve purposely sought out at least one other woman to do life with. Now I know, I am good enough just the way I am. I was made to be different because it’s through (in spite of) my quarks that God will work. I am part of the most elite group, God’s chosen people. I matter to God and that matters more than anyone else’s opinion. Those are the truths to which I cling.